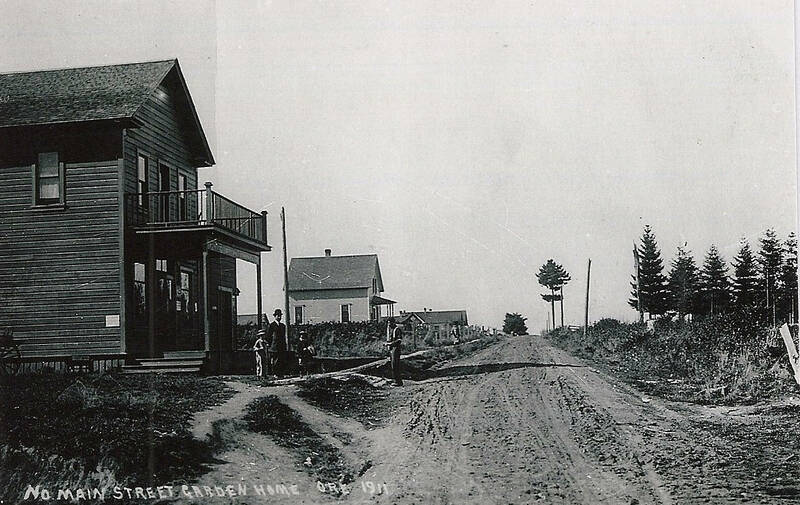 Looking west down SW Garden Home Road in 1911. The "Red Store," an all-purpose grocery store, appears in the foreground. No. Main Street Garden Home, Ore. 1911.